The Supreme Court Friday said the proposal of the Unique Identification Authority of India (UIDAI), which runs the Aadhaar scheme, to hire a social media agency to monitor such platforms was contrary to its earlier submissions. A bench of Chief Justice Dipak Misra and Justices A M Khanwilkar and D Y Chandrachud also asked Attorney General K K Venugopal to assist it in the hearing of the plea on the issue filed by Mohua Moitra, an MLA of the Trinamool Congress. "It (monitoring) is directly against the submissions made by the UIDAI during the hearing of the Aadhaar matters," the bench said, adding that what the UIDAI was proposing was contrary to "what it had argued while seeking validity of Aadhaar". The UIDAI, during the hearing of a clutch of petitions challenging the validity of Aadhaar scheme, had told the apex court that it did not want to monitor the online activities of citizens holding Aadhaar cards. Moitra's plea said the UIDAI, as per its bid document, was seeking to hire a social media agency that will employ 'online reputation management' and 'social listening' tools to monitor and influence conversations related to Aadhaar on platforms like Facebook and Twitter. She had alleged that the move of hiring a social media monitoring agency aimed at "mounting surveillance on social media platforms". "Such action of the government violates her right of privacy. 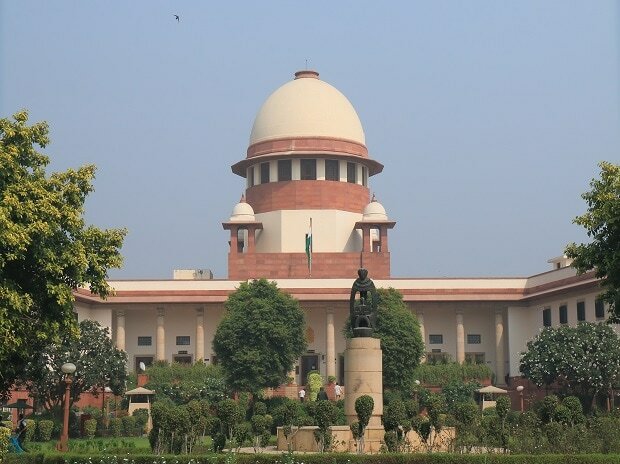 The scope of work of the Social Media Agency intended to be selected through the impugned request for proposal (RFP) is in the teeth of the judgment laid down by this Court in K S Puttaswamy case, wherein a bench of nine judges of this court recognised privacy as a fundamental right under the Constitution," the plea said. The petition claimed that the aim of employment of a "Social Listening Tool" by the social media agency of the UIDAI in accordance with the RFP on the pretext of raising awareness about Aadhaar is nothing but an attempt to "overreach the jurisdiction" of the apex court. "Despite the fact that the constitutional validity of various aspects of Aadhaar is under challenge before this Court in a batch of petitions and judgement has been reserved by a Constitution Bench of this Court in the matter, the Respondents (Centre, UIDAI) have issued the RFP to identify 'top detractors' and 'neutralise negative sentiments' in relation to Aadhaar. It is therefore clear that the Respondents have no respect or regard for proceedings before this Court," the petition said. The legislator alleged that the haste with which the RFP was being pushed through with the bids scheduled to be opened less than two weeks after the publication of the RFP itself demonstrated the mala fides of the Centre and the UIDAI. The plea said that weekly and monthly reports are to be prepared by the Social Media Agency, indicating the most discussed topics, top detractors, top influencers and the net sentiment related to Aadhaar. "The entire surveillance architecture is to be placed in the hands of private persons employed on a contract basis who will be on the rolls of the service provider who emerges successful in the tender process. "While surveillance by agents of the State is itself violative of the right to privacy, in this case, the privacy of the citizens of this country is sought to be placed at the mercy of non-State actors which reeks of manifest arbitrariness," the plea alleged. Earlier, the Centre had told the apex court that it will undertake a complete review of social media policy and withdrawn its notification proposing a social media hub for the Information and Broadcasting (I&B) Ministry. The decision had then led to the disposal of an earlier plea against the hub filed by Moitra against the notification of the I&B Ministry.